Continuing education credit available for RNs & APRNs - details below. A 4-hour workshop to provide healthcare professionals with the training, education and resources to facilitate early identification, treatment, prevention and linkage to services for victims who experience domestic violence or sexual assault. Discuss the scope of domestic violence and sexual assault (DV/SA) as a public health problem. Discuss key concepts associated with the use of evidence-based practice in providing care to DV/SA patients and mandatory reporting. Review current recommended medications for sexually assaulted patients. Recognize key concepts related to perpetrators of DV/SA. Discuss screening tools, community prevention strategies and resources for DV/SA patients. Meredith Scannell has extensive experience in critical-care nursing and women's health. She is a certified nurse-midwife, earned a diploma in nursing in 1995, became a Sexual Assault Nurse Examiner in 2004, through the MA Department of Public Health, received a Master's Degree in Public Health, became a Certified Nurse Midwife in 2006, earned a Master's Degree in Nursing in 2008, and is currently a PhD candidate. She has extensive background working in critical-care areas internationally in Boston, London, UK, and Melbourne, AU. As a certified nurse midwife she has worked at the North Shore birth center delivering babies in a home-like setting and at Beverly hospital. 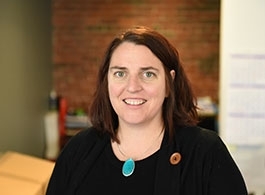 She developed the Sexual Assault Simulation Course at the Brigham and Women’s Hospital, Neil and Elise Wallace STRATUS simulation center in Boston, Massachusetts, and she has presented as an expert panelist at the International Meeting on Simulation in Healthcare. Her work has been published and was awarded the 2015 Article of the Year from the International Association of Forensic Nurses for her publication title: "Sexual Assault Simulation Course for Healthcare Providers; Enhancing Sexual Assault Education with Simulation"
This activity is being submitted to American Nurses Association Massachusetts for approval to award contact hours. ANA Massachusetts is accredited as an approver of continuing nursing education by the American Nurses Credentialing Center's Commission on Accreditation. For more information regarding contact hours, please call our office at 617-724-3193. Full refund, less administrative fee of $7 if cancellation is received prior to May 30, 2018. To cancel, send your cancellation request via email to the Office of Continuing and Professional Development. Refunds will be processed based on the original form of payment and will be processed within 30 days of receipt of the cancellation notice. Cancellations received after May 30, 2018 will not be eligible for a refund. Cancellation of activity: In the very unlikely event that IHP School of Nursing cancels or postpones the activity due to circumstances beyond its control, IHP School of Nursing's liability will be limited to refund of paid registration fees.